Tuesday, October 11, 2011, 7-8 p.m.
Thursday, October 6, 2011, 7 p.m. Candidates for Cleveland Heights City Council, Cleveland Heights-University Heights Schools Board of Education, and University Heights City Council will participate in a Community Candidates Forum on Thursday, October 6 from 7-9 p.m. at the Cleveland Heights Recreation Pavilion Senior Center, 1 Monticello Boulevard, Cleveland Heights. Candidates from Cleveland Heights City Council will be featured from 7:10-7:50 p.m. I’ll be there! The forum will be a moderated question and answer format. Candidates will have two minutes to give an opening statement followed by answers to written questions from the audience which will be read by the moderator. Tuesday, September 27, 2011, 7 p.m.
Come to the Lee Road Library at the time and date above for a presentation about Cleveland Heights latest historic district and what historic district designation means. Mary Dunbar, who submitted the nomination for the district, will explain its scope as well as its architectural and historic merits. A representative from the Ohio Historic Preservation Office will also speak. 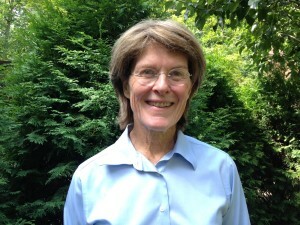 Thursday, August 11, 2011, 7:30 p.m. – 9 p.m.
You are cordially invited to attend a fundraiser to help elect Mary Dunbar to Cleveland Heights City Council. The party will be at the home of Marjorie and Bert Moyar, 2915 Fairfax Road in Cleveland Heights. Pastries, cheese, fruit, wine and coffees will be served. Suggested contribution is $25, but other amounts are welcome. To facilitate planning, please let Mary Dunbar know by Friday, August 5, if you plan to attend. Just call 216/321-1335 or send an e-mail to [email protected] Reservations after August 5 will be accepted. I hope you can come! Saturday, May 28, 2011, 10 a.m. – noon. Walking Tour of Shaker Farm Neighborhood.